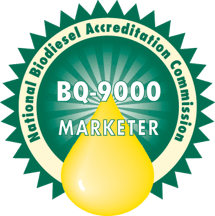 BQ-9000® is a cooperative and voluntary program for the accreditation of U.S. biodiesel marketers and producers marketers. 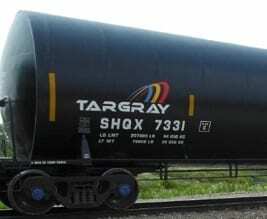 It combines the requirements of the ASTM standard for biodiesel – ASTM D6751 – and a quality systems program that includes storage, sampling, testing, blending, shipping, distribution, and fuel management practices. Established by the National Biodiesel Board, the BQ-9000 program aims to promote the commercial success of biodiesel while helping assure that bio-based fuel produced in the U.S. meets and exceeds rigorous industry standards. To receive accreditation, biodiesel companies must pass a rigorous review and inspection of their quality control processes by an independent auditor. BQ-9000 Marketer certification is open to U.S. and Canadian companies involved in the distribution and sale of various biodiesel blends. This is an important designation, because proper handling of biodiesel is as critical to fuel quality as proper production. 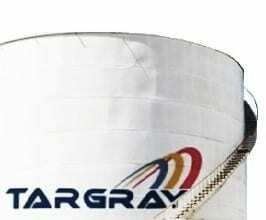 The Targray Biofuels Division is one of the largest BQ-9000 certified biodiesel marketers in the U.S., having first earned the certification in 2014. This BQ-9000 producer certification is available to companies that produce biodiesel fuel meeting the ASTM D6751 standard. The program requires that biodiesel manufacturers adhere to a system for monitoring the quality of their biodiesel, including: Sampling, Testing, Storage, Retention of Samples, Shipping. BQ-9000 lab certification is offered to commercial laboratories engaged in the analysis of biodiesel and biodiesel blends. Laboratories operated by BQ-9000 Producers and Marketers are also eligible to seek this certification. For more information, visit the the BQ-9000 website. Request a quote for Biodiesel in your area.